I blogged before about these three color flower pots I have been making at Shiho ceramic studio. Now they are finished baking with a glossy transparent glaze showing off the three types of clay. Although the result is not exactly what I had intended, I like how they came out. I wonder what to plant them with in November for the student show. I am going to the studio twice a week now so that I’ll have enough to show then. Below is another view, using a “nostalgic” filter. 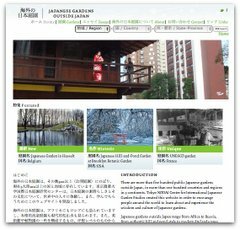 Hey, thank you for your blog article about Tokyo Green Space. I obviously share your passion for biking, and I admire your Tuscon photographs. Thanks for visiting.